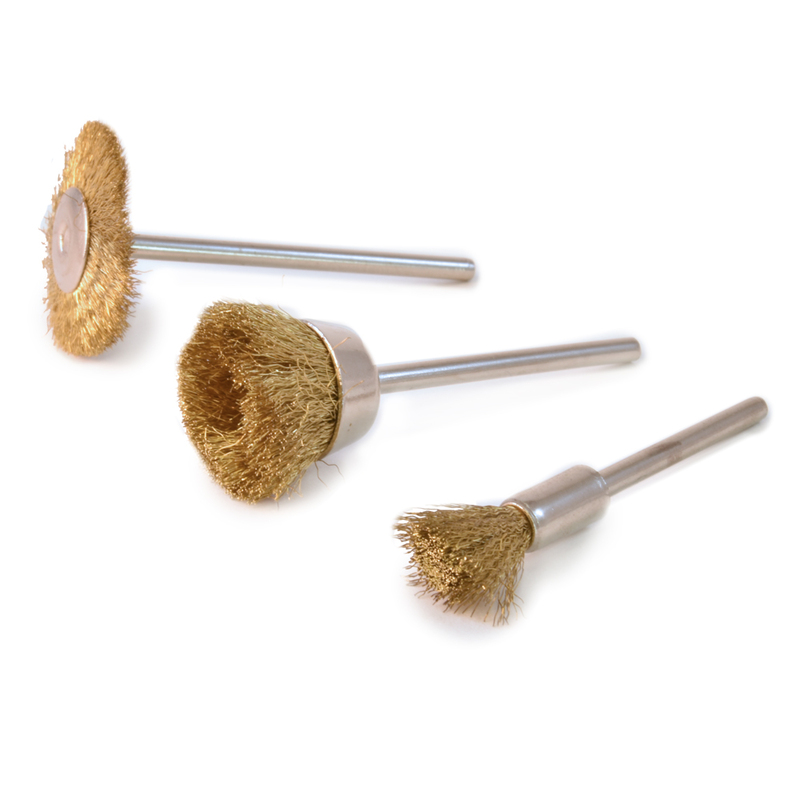 3 piece brass wire brush set with cup, end and wheel shaped heads allow user to remove unwanted corrosion, dirt or grime from parts. Suitable for soft non-ferrous metal, stone, ceramics, wood and cement. 3/32” shanks.